Applications are now available for the 2010 Producers Institute for New Media Technologies. The Institute is a ten-day residency for eight creative documentary teams with the shared goal of developing and prototyping an interactive, multiplatform project that has social justice and human rights impact. The Producers Institute for New Media Technologies is a ten-day residency for eight creative teams (independent producers or public broadcasters) with a shared goal of developing and prototyping a multi-platform project inspired by, or based on a significant documentary project. The intention of the Institute is to develop socially relevant media projects for emerging digital platforms. Producers participate in high-level industry roundtables, intense one-on-one project development with technical mentors, new media storytelling workshops, and hands-on prototyping of their ideas. The participants adapt and develop film, video, and audio content for delivery using a range of interactive formats, including but not limited to video game applications, interactive, web-based experiences, mobile streaming, multi-user communities, and new educational software. Producers may propose a range of delivery strategies, including cellphones, other hand-held devices, set-tops, Internet, portable software and more. The Institute provides creative mentors, technology consultants and advisors based on the needs of your project. At the end of the residency, all participants demonstrate and pitch to a panel of VC funders, industry leaders, and foundations. 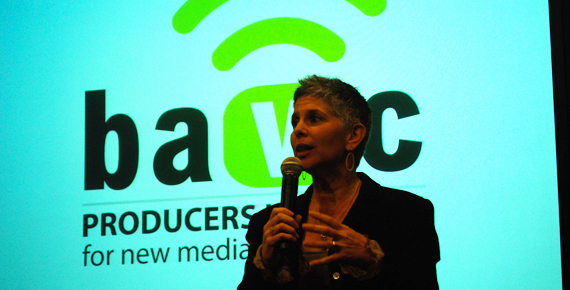 As ongoing support after the Institute, BAVC hosts a web-based resource center for the continued sharing of new ideas, strategies, project development,and distribution opportunities. Applications are now available for the 2010 Producers Institute for New Media Technologies. The Institute is a ten-day residency for eight creative documentary teams with the shared goal of developing and prototyping an interactive, multiplatform project that has social justice and human rights impact. 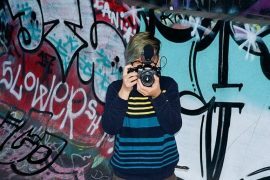 The Producers Institute focuses on the intersections of global documentary, new media and social change by developing innovative story-driven tools that redefine outreach and civic engagement. There will be a pre-application workshop in San Francisco on Tuesday, November 17 at 6PM at BAVC.